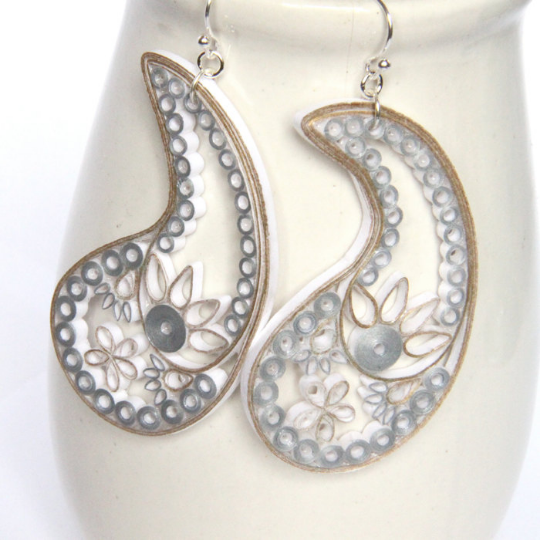 These gorgeous eco friendly bridal paisley earrings are handcrafted by the art of paper quilling. I've been wanting to make paisley earrings for awhile, and I finally got around to it! 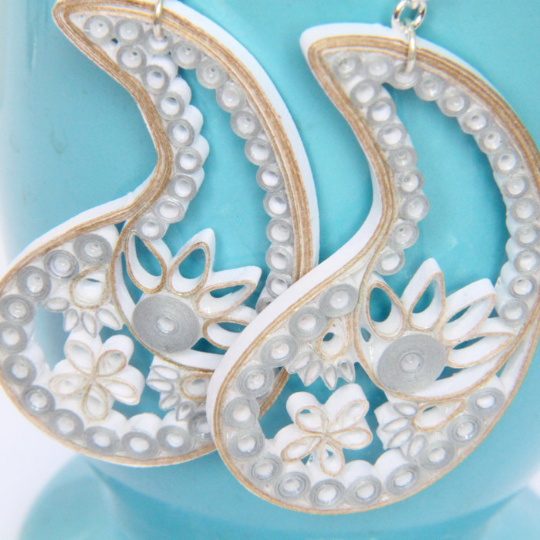 This pair is made of bright white paper, some which is edged in gold and some in silver. They would be absolutely stunning for a bride or bridesmaids. They would also be gorgeous with evening wear. The wearer will be sure to get many compliments on these beauties! These special earrings are finished with solid sterling silver jump rings and earwires, a truly artistic and remarkable pair of earrings. Each earring measures 1 1/4" (3.2cm) wide at the base and are 2 1/8" (5.5cm) tall not including the earwires or jump rings.